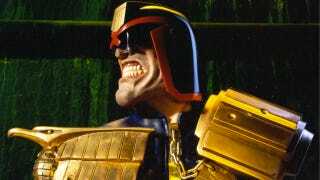 Looks like the law was laid down over on the new Dredd movie. Rumor has it, the studio wasn't happy with how director Pete Travis (Vantage Point) was putting the film together, and they've kicked him out of the editing suite. creative disagreements with producers and executives in charge of the film reached a boiling point... sources said it arose when Travis and producers and executives in charge of the production did not see eye-to-eye on footage Travis was delivering."